The 1970s and '80s were a dark time in stadium building in the United States. It seemed like it was all about capacity and fire codes, resulting in these big soulless boxes that relied on teams to fill the the void with some kind character. 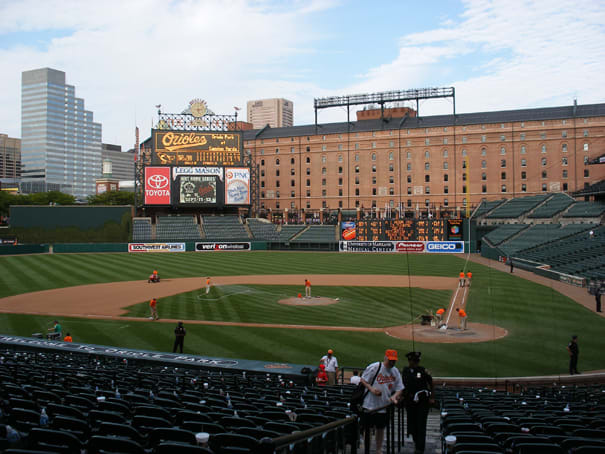 In 1992 the Orioles were the first to bring back some charm to the modern ballpark when they built Camden Yards over an old railyard, revitalized a downtown district, and gave the Orioles a worthy new home. All the modern new ballparks owe something to The Yard, and someday soon (Matt Wieters, Brian Matusz, your time is now!) the O's might return the favor and bring major league ball back to B-More.